Many auditors do not have extensive experience auditing 403(b) plans. That's because, until relatively recently, ERISA 403(b) plans were exempt from certain annual reporting requirements, including the requirement to engage an accountant to audit the plan’s annual financial statements. While 403(b) plans are similar in many respects to 401(k) plans, there are many differences that make auditing 403(b) plans challenging. PPC's Practice Aids for Audits of 403(b) Plans can help auditors effectively and efficiently audit this unique type of employee benefit plan. To make using these Practice Aids as efficient as possible, they are based on the practice aids included in PPC's Guide to Audits of Employee Benefit Plans. However, numerous changes have been made to address the specific issues involved in auditing 403(b) plans. We've tailored these Practice Aids for the unique aspects of auditing 403(b) plans, saving you time on every engagement. Our practical “how-to” engagement process includes extensive practical considerations to help you perform these engagements in a cost effective manner. 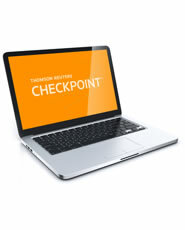 Links to related accounting and auditing guidance on Checkpoint are also included.